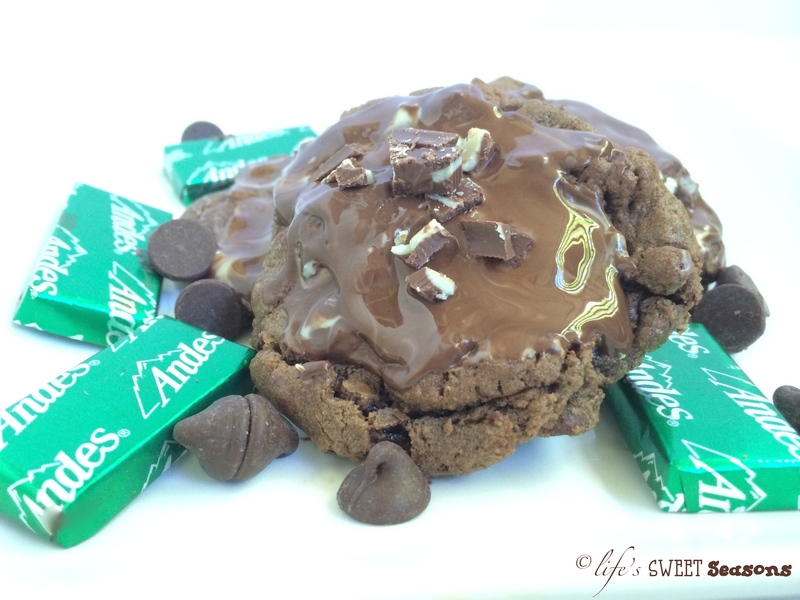 I had never made a chocolate cookie before making this recipe. Traditional chocolate chip cookies I’ve made, of course, even though my husband usually eats the dough before I have a chance to make very many cookies. But before this, I had never made a chocolate dough with chocolate chips inside. Truth be told, I made these cookies before making the S’mores Cookies that I posted in August and then used the same dough for both cookies. I waited to post this recipe until now because I feel like they’re a perfect Christmas give-away cookie. 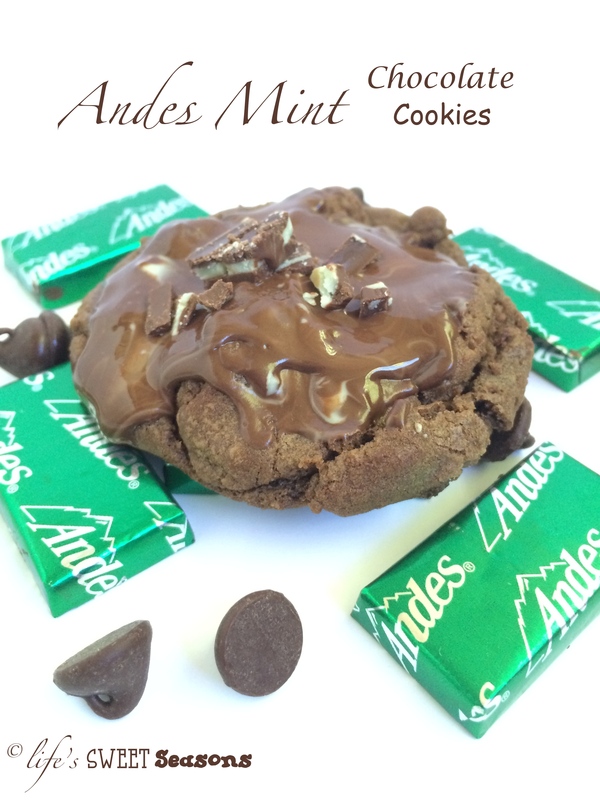 The Andes Mints on top makes them extra special which is exactly what you want when you’re giving away a holiday treat. My family has a slightly obsessive (probably unhealthy) infatuation with mint and chocolate, so these cookies immediately caught my eye while perusing for something to make when I head home to visit my mom in less than a week. The cookie dough does take slightly longer than traditional cookie dough because it requires melting chocolate chips as opposed to just using cocoa powder. You also need to chill it for an hour so that the dough can be rolled, so you don’t want to start this recipe if you’re pressed for time. However, that all being said, it’s worth the time and effort. If you take these out of the oven right when they’ve set and allow them to finish cooking on the cookie sheet then you’ll have a slightly crunchy outside with a chewy inside and a lovely frosting of mint chocolate that rounds things out perfectly. I actually wrote my recipe to make bigger cookies than the original to ensure the chewy factor that I always love with cookies. If you plan to make these to give away then you can make them a day or two ahead of time. Just make sure that they have cooled and the melted Andes mint has solidified again before wrapping them. Notes: Makes 3 dozen cookies. Cookies can be stored in airtight container at room temperature for up to one week. 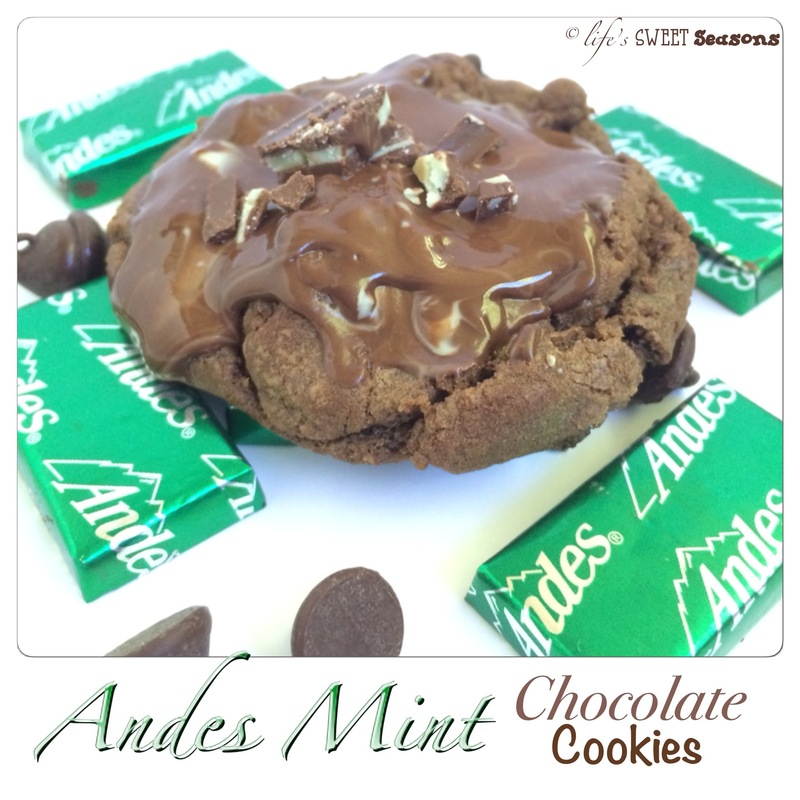 The pictures I took have Andes mints added for added decoration, but the cookies certainly don’t need it for taste.